The monastery of Ragio is at Ragio of Thesprotia, on a hill with forests. It is walled and is dedicated to the Dormition of Virgin Mary. According the tradition is probably built from the 11th century. A date of 1703 on a manuscript refers to the borders of the moanstery. The monastery suffered a lot of attacks and destruction. It is mentioned that in 1864 the monk Nathanail reconstructed it. It was a wealthy monastery, with one hundred and fifty monks on its developing period and donated many schools of the region. In 1909 belonged to the Ecumenical Patriarchate of Constantinople and in 1924 closed. 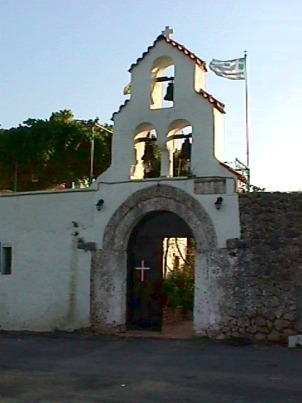 The νchurch of the monastery has a vestibule, the temple and the church. 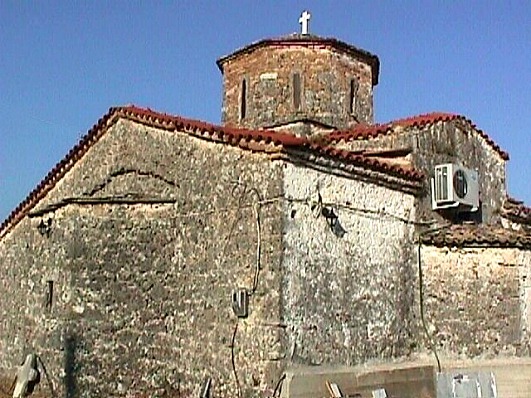 ΕIt is domed with an arch and an unusual dome. The dome is multilateral with apertures inside it for lightning.